Farhan VU2ESE Does It Again! Click here to read the full description of this project and download diagrams/schematics! This is brilliant! Thank you for sharing, Pete! 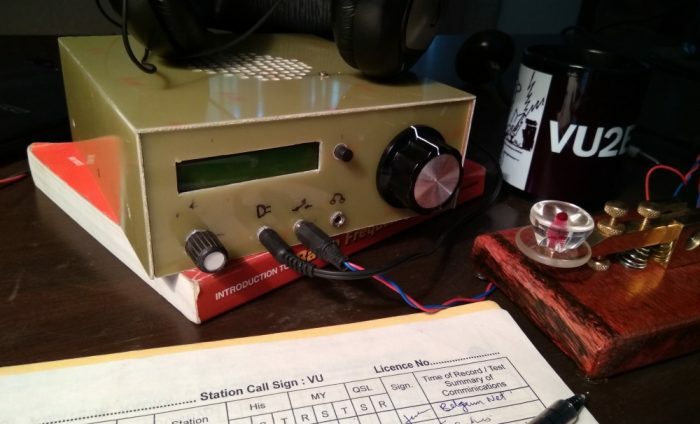 This entry was posted in Homebrew, News and tagged Ham Radio Homebrew, Homebrew, Micro-BITX, QRP, uBITX, VU2ESE. Bookmark the permalink. I have read the uBITX QRP trancever, I think it’s a very fine achevment! I congratulate the constructed, VU2ESE! I am very much interested building it, unfortunately it will be very dificuilt to buy the components here in Srilanka. I hope soon there will be a kit so I can built it. Please be kind enough to inform me via e mail where to buy the kit. I am a ham operator in Srilanka with the call sign, 4S7LF. Assembled boards for the ubitx are available at http://www.hfsigs.Com for $109 US. and use it with the bitx…Works great! !